The International Society of Bassists was founded by the world-renowned virtuoso Gary Karr in 1967. With nearly 3,000 members in over 40 countries, the ISB publishes a triannual magazine, Bass World, with an eclectic mix of articles about soloists, jazz and orchestral players, early music, pedagogy, international personalities and orchestras and reviews of new print music and recordings, plus monthly e-newsletters and communications. Every two years the ISB holds an international convention at a host university. Bassists of all ages and abilities come to enjoy a full week of workshops, masterclasses, recitals and lectures, and to shop in the exhibit hall. The ISB is a worldwide forum for double bassists to learn and share. 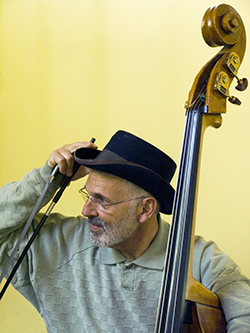 The International Society of Bassists is a membership organization dedicated to raising worldwide awareness of the double bass by inspiring, educating, and connecting people, music, and ideas through fellowship, performance, digital media, and the printed word.